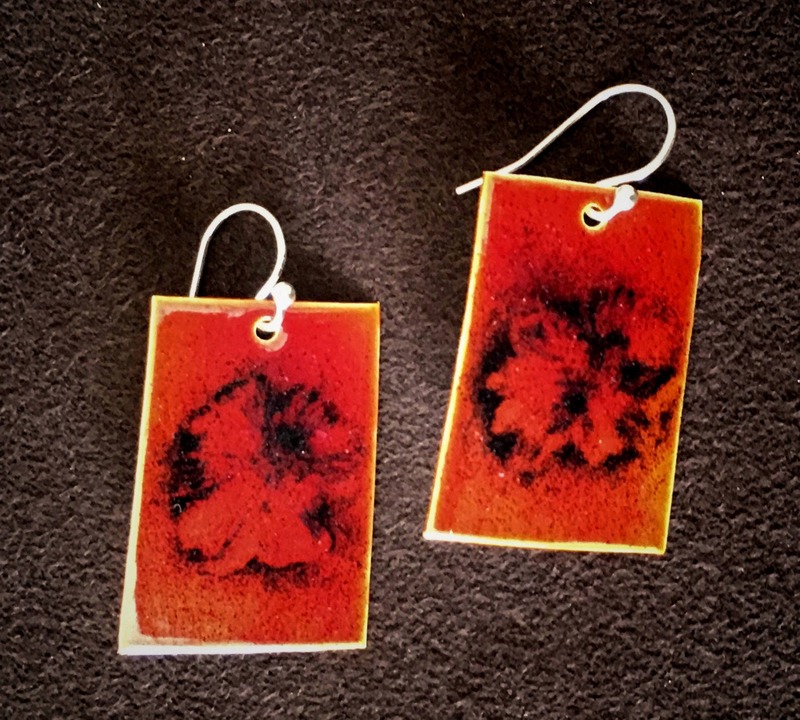 Striking earrings featuring asymmetric rectangles in Fine Silver embellished with rich translucent orange & opaque black vitreous enamel. Sterling Silver earwires. Total length approx. 1 1/2".